For the second consecutive year, Zornitza Family Estate Relais & Châteaux was among the highlights of one of the most prestigious culinary events – Bacchus Restaurant of the Year. 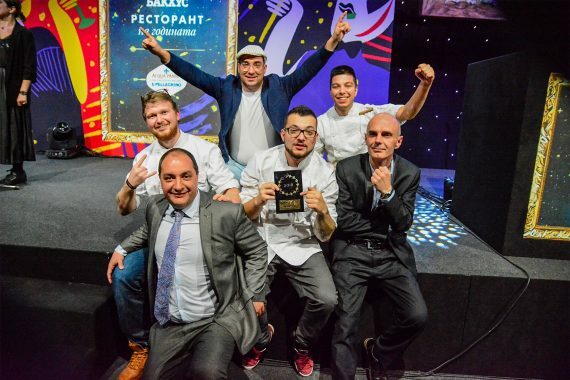 The chef of aEstivum Restaurant Vasil Spasov was one of the six – two Bulgarians and four Spaniards, chosen to cook for the elite audience of over 300 guests. His dish – Polenta with Iberico lard, was a huge success at the gala dinner. Zornitza Family Estate Relais & Châteaux team had another reason to celebrate. After being awarded the Debut of the Year in 2018, now aEstivum restaurant was recognised for its Creative cuisine.